Ferrari's manager Luca di Montezemolo announced the F1-team's next season driver to be Felipe Massa. Whereas Kimi Räikkönen's destiny is still open. MTV3 F1-expert Jyrki Järvilehto won't start sharing Kimi's place to other drivers but waits until Massa, who was injured at Hungarian GP, recovers to driving condition. - It's obvious it's boiling in the whole team at the moment because those driver choices are what they are. And still both Kimi and Massa has conctracts for next year. The first thing that is important is that Massa is in a good enough condition to drive next season. Renault-driver Fernando Alonso has been rumoured for a long time to replace Räikkönen at Ferrari. The Finn has been predicted to be paid one season's salary for leaving the team. - It starts to sound like someone has a lot of loose money in the back pocket. It sounds quite strange that there has been contracts made for next year and now they start to grill another driver out. A pretty interesting show at this point of the year. Of course other teams are fighting for the championship than Ferrari, so maybe they need to get publicity somehow. 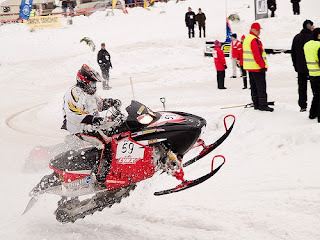 Järvilehto won't dare to start quessing in what team Räikkönen can be seen next year. 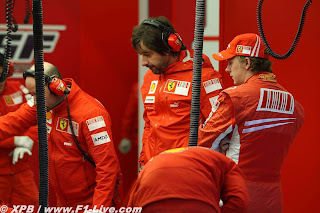 - Of course Kimi's situation interests us more and let's hope that we get some kind of confirmation from that side soon. 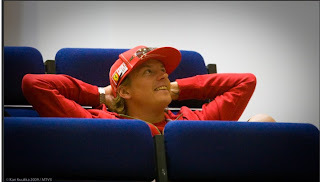 - Since I'm not a fortune teller it's difficult to say [where Kimi is going], he's been rumoured to go to so many teams. At least Kimi has a contract for next year in Ferrari, so if we look at the contracts that exists then Kimi's overalls should be red.